Nick Edwards a.k.a. 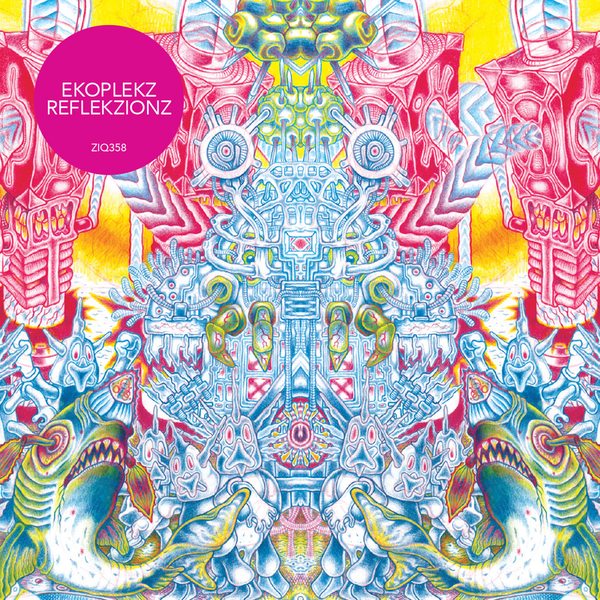 Ekoplekz explicitly pays homage to his formative influences with 'Reflekzionz' - kosmisch electronics and '90s electronica - on his 3rd LP for Planet Mu. Radiophonics references are swapped for a reverie of early AFX, Autechre and Wolfgang Voigt, among others, filtered thru his grubby dub lense to slot grittily with his previous. And, rather than bleached out tones, 'Reflekzionz' is fringed with a faded colour scheme psychedelically reflected in Zeke Clough's dreamlike sleeve artwork, creating a sort of false-memory implant aesthetic that frames his sound like a polaroid recollection of the originals.